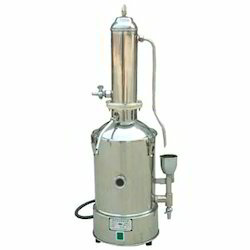 Owing to the dexterous professionals, we have been able to provide the customers with a commendable Filtration Assembly. Our offered range comprises Monoblock Pumps, Colony Counter, Water Still Automatic Wall Type, Magnetic Stirrer and many more. The entire range is manufactured by making use of premium quality raw material and cutting-edge tools & technology with the help of our skilled & semi-skilled labors. Owing to the dexterous professionals, we have been able to provide the clients with a commendable assortment of Industrial Humidifier. Our offered range is a household appliance that increases humidity in a single room or in the entire home. There are point-of-use humidifiers, which are commonly used to humidify a single room and whole-house or furnace humidifiers, which connect to a home's HVAC system to provide humidity to the entire house. Over the years of experience in the industry, we have been able to provide the customers with an astounding Water Still Automatic Wall Type. Manufactured by making use of stainless steel, vapor baffle, removable condensing tube and lid, our products are made in compliance with the global quality standard. Fitted with immersion type elements, our range is provided with wall mounting iron bracket to be fixed on the wall which the still can rest to work on 220 V AC supply. From the day of commencement, we are engaged in catering to the variegated requirements of the customers by bringing forth Colony Counter. 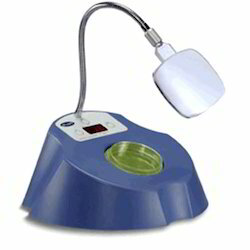 Designed for quick and accurate counting of bacterial and mould colonies in petri dishes, our range feature with packed ft easy to use, tins is an indispensable bench cop tool for the busy microbiologist. 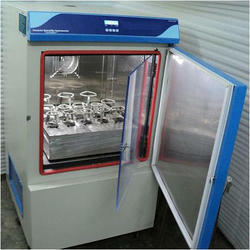 The offered range is developed for rapid and accurate counting of bacterial and mould colonies. With the aid of modern tools and sophisticated technologies, we have been able to provide the customers with an astounding assortment of Orbital Shaking Incubator. The offered range is manufactured using high quality raw material and advanced tools & technology at our capacious infrastructure unit. 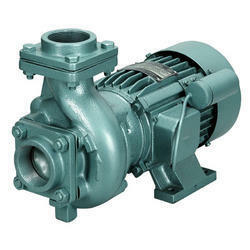 We are a coveted business organization engaged in catering to the variegated requirements of the customers by bringing forth Monoblock Pumps. 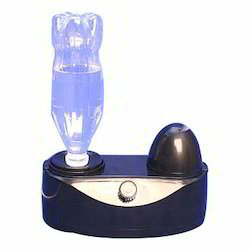 Pur range comes with maximum suction capacity. The monoblock pumps in the L_300 family (2BV5/6) are characterized by a very high suction capacity of up to 600 M3/hr (360 cfm). 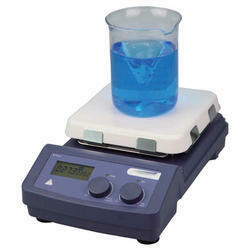 The offered range is primarily used in applications involving high volumes of liquid. Looking for Filtration Assembly ?